Glen Head has recently acquired a feverishly hot new dining spot. Heirloom Tavern boldly announced itself in January with innovative cuisine in a casual setting, occupying the former site of Fork & Vine alongside the Long Island Rail Road’s parking lot at the Glen Head station. Its obscure location is by no means a reflection of its evident popularity. 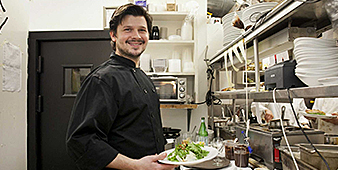 Heirloom Tavern is the second installment from Kent Monkan, chef and owner of the highly acclaimed Brass Rail in Locust Valley. It is, in many ways, an offspring of Brass Rail, serving up eclectic fare that lends itself to the ‘gastro pub’ concept that has caught on tremendously since its inception in London in the early 1990s. Today, the 'American gastro pub' has become ext remely popular with diners who are looking for a diversified menu offering quality food and drinks with affordable prices. 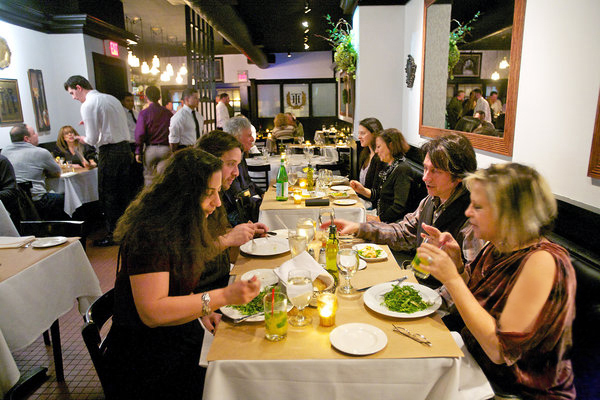 The dining room at Heirloom Tavern sets the stage for a casual, intimate experience. Dark chocolate leather banquettes line the long, narrow room, offsetting white walls dotted with framed mirrors. Soft lighting and glowing tabletops create a comfortable mood. The convivial bar area is a real showstopper, with lights made from crystal decanters hanging over a gleaming mahogany bar. It attracts an impressive crowd and is the perfect place to enjoy an informal meal. The real fruits of labor are revealed in the eclectic menu. There are similarities in concept to the Brass Rail, with categories such as bar plates, soups, sandwiches, pastas and main courses, but the dishes are more charismatic and creative. Portions are sizeable and presentations are impeccable. I started the meal with the lobster bisque: chunks of moist lobster floating in a robust soup with the perfect amount of cream. 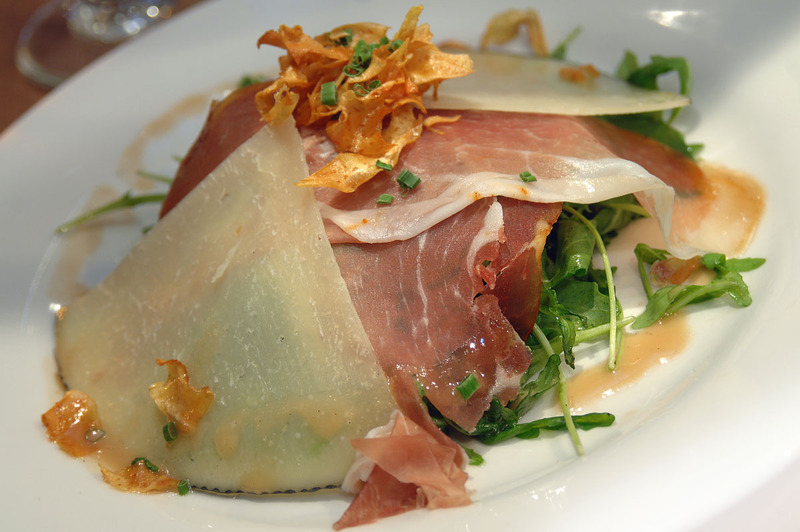 The arugula salad with Serrano ham and Manchego cheese was refreshing and tasty but the dish that ran away with first prize was the sweet and sour veal short ribs, succulent and falling off the bone – I came close to ordering seconds! My favorite main courses included fettuccine pasta embellished with shrimp and clams in a plum tomato sauce, moist and flavorful black bass accented with a mango sauce and perfectly cooked filet mignon. Diners pick two side dishes with each entree from a list of 14 choices. Top sides included roasted brussel sprouts, fingerling potatoes and grilled asparagus. 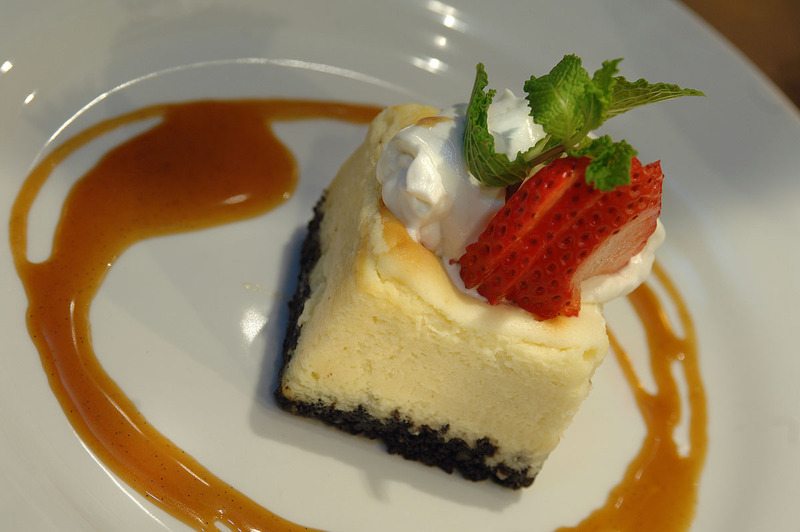 Desserts are all house- made and sure to please. 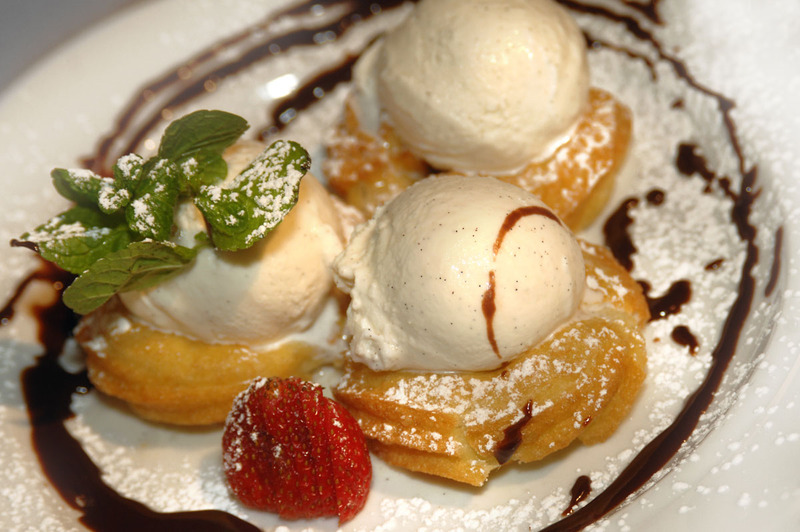 The beignets were light and puffy (doughnut-like) creations topped with vanilla ice cream. Others included bacon bread pudding and white chocolate cheesecake. Heirloom Tavern was packed on my Tuesday night visit and will be every night for a long time to come. 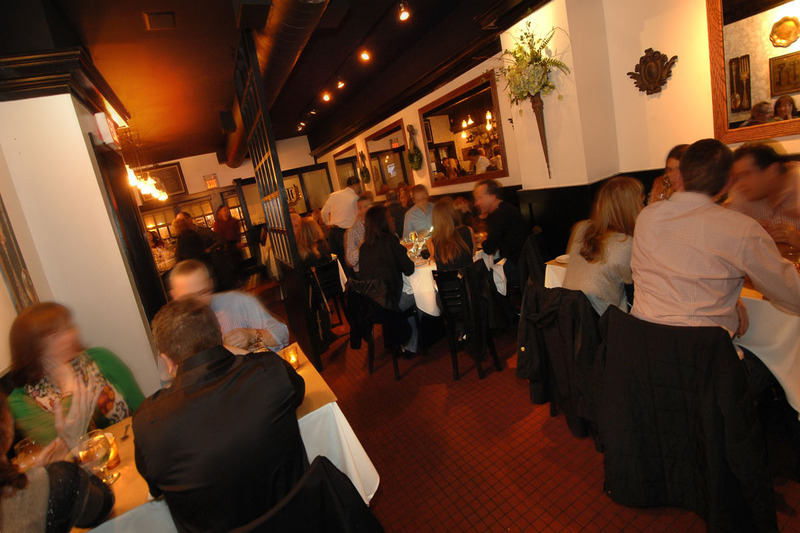 Loyal patrons are spilling over from the Brass Rail in search of Kent’s new and exciting culinary endeavor. The lively scene and great food and service have attracted diners from all over and will surely keep them coming back for more. Hats off to Kent and his crew for a most memorable experience! 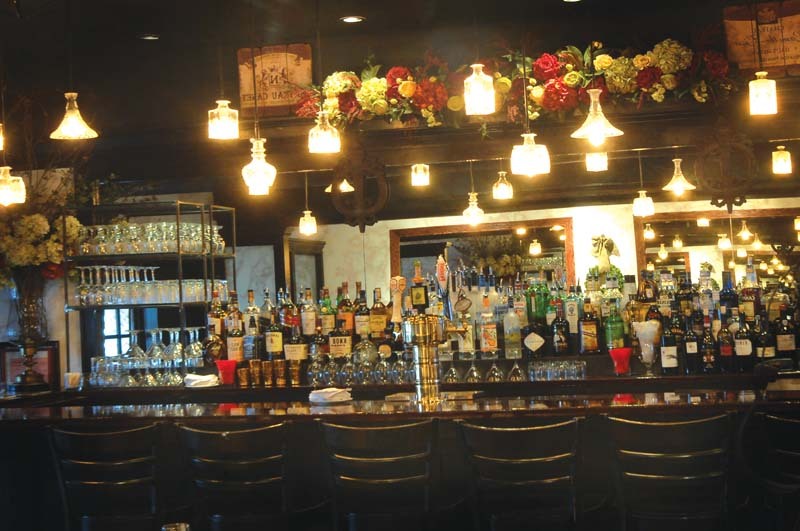 The Heirloom Tavern, located at 32 Railroad Ave. in Glen Head, NY (the former home of Fork & Vine), is the latest winner of Chef/Owner Kent Monkan, who also operates one of Long Island’s best restaurants, the Brass Rail in Locust Valley, NY. 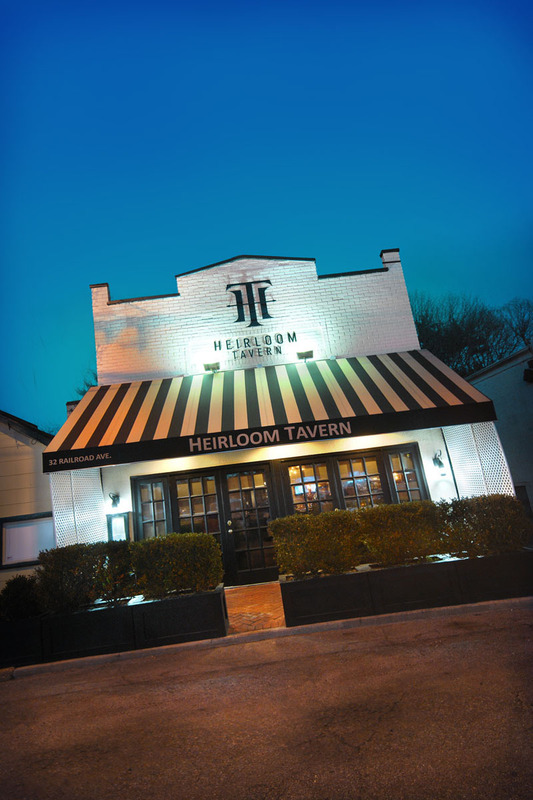 Heirloom Tavern, an American gastro pub, similar in concept as The Brass Rail, spotlights chef Monkan’s clever creations and adaptations in a reasonably priced menu that features bar plates, soups, salads, chilled seafood, small plates, sandwiches, pastas and main courses. 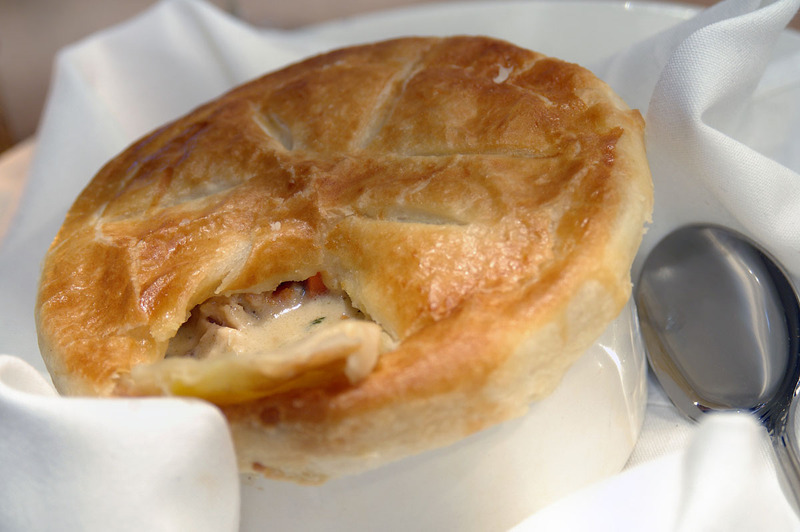 Monkan specializes in dishes made from local ingredients, and offers a special every day, from chicken pot pie to meatballs and spaghetti to barbecued baby back ribs. 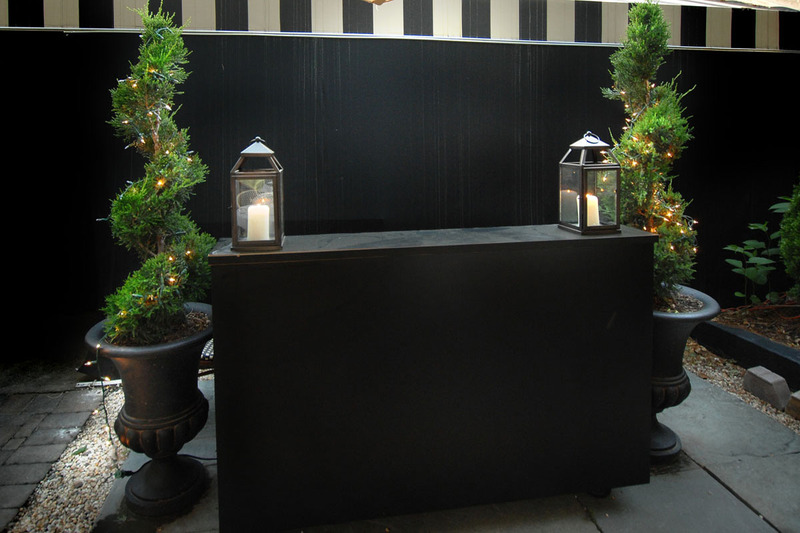 As you walk into the refurbished restaurant, there is the eye-catching bar up front, and a beautifully designed dining room with large, framed mirrors on it’s white walls. Recent stellar reviews include the NY Times - "Excellent! ", Newsday, and Yelp. 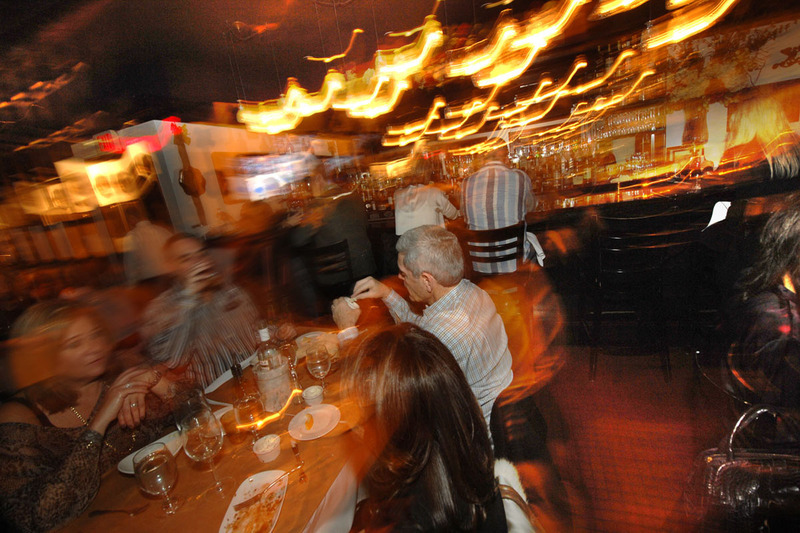 Heirloom Tavern is open Monday to Thursday, noon to 10 p.m.; Friday and Saturday, noon to 11 p.m.; and Sunday, 11 a.m. to 10 p.m., with brunch from 11 a.m. to 3 p.m.
Kent Monkan, one of the Island’s most gifted and underrated chefs, provides simple, rustic eating at his new Heirloom Tavern in Glen Head. Although his menu lacks culinary pyrotechnics, it does deliver dynamic flavors at largely affordable prices. 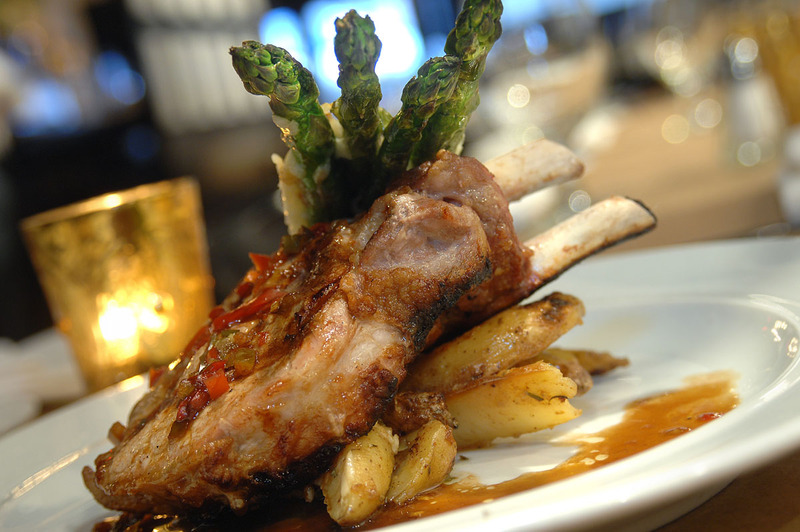 Aside from its bite-sized bar plates ($6), its fare is full bodied and generously portioned. Monkan’s current venture at the Glen Head Railroad Station, where Fork & Vine had been, is a cozy, convivial venue with a vintage dark wood bar up front illuminated by pale yellow drop lighting. Its narrow, mirrored dining room, with snug seating, candles, paper-over-cloth tables, leather banquettes and black industrial ceiling, was understandably packed during a visit in the early going. Unfortunately at such times its mellow, upbeat milieu is often derailed by the clamor of piercing noise (absorbent fabric over the hard surfaces could be useful). 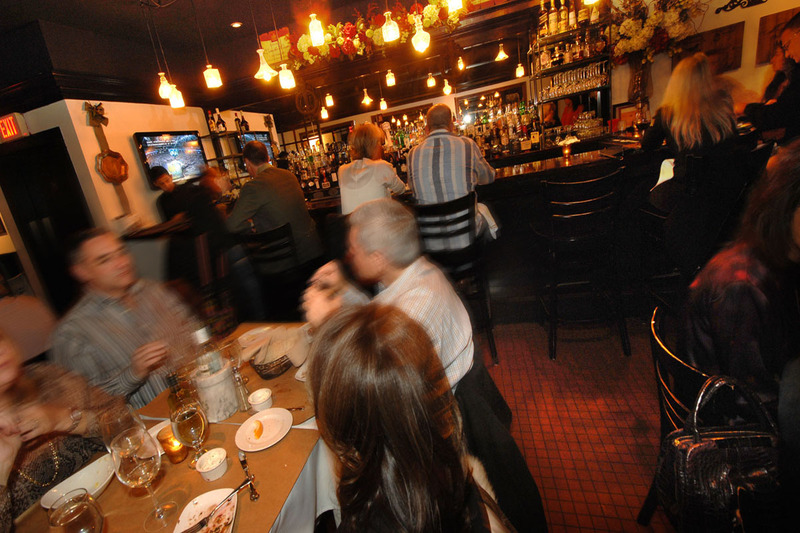 Monkan, best known for his efforts at The Brass Rail in Locust Valley, an exceptional restaurant he has operated for some years, calls his new digs an American gastropub. The first sign here is a good one. It’s his warm, crusty, rough-hewn peasant bread. The menu choices feature a batch of small plates ($12), bar plates ($6), salads ($8) and soups ($7), traditional starters, entrées ($15 to $33) and dessert ($8). Most, not all, of the bar plates are trifles and barely sufficient for four diners to get more than a tiny bite of each. Yet they did serve as a tease that encouraged us to order more substantial dishes. Only a portion of plump, rustic veal meatballs offered easy sharing, yet the pork cheek steamed bun boasted a perfect ratio of meat to bun and the rarely encountered crisp, browned chicken fried steak slider was true to its Southern roots. Two more generously portioned soups, a snappy seafood gumbo and a thick, tasty, substantive black and white bean purée, hit the spot. Among the small plates, four soft buttery Wagyu beef skewers were boosted by their sesame and spicy grilled surfaces and the thumb-sized sweet and sour veal short ribs yielded plenty of meat. The only main course sampled was a soup bowl-sized serving of fettuccine lobster carbonara ($24) studded with gobs of bacon, peas, arugula and plenty of lobster shards. Its parmesan cream sauce was rich without being overwhelming. The last bites were among the best. A gooey, deeply chocolate mash of flourless chocolate cake, chocolate sauce and vanilla gelato and another soup bowl-sized portion, this one of banana nut bread circled by caramelized bananas and drenched in spiced rum and melting vanilla gelato. Kent Monkan has doubled-down on gastropubs. 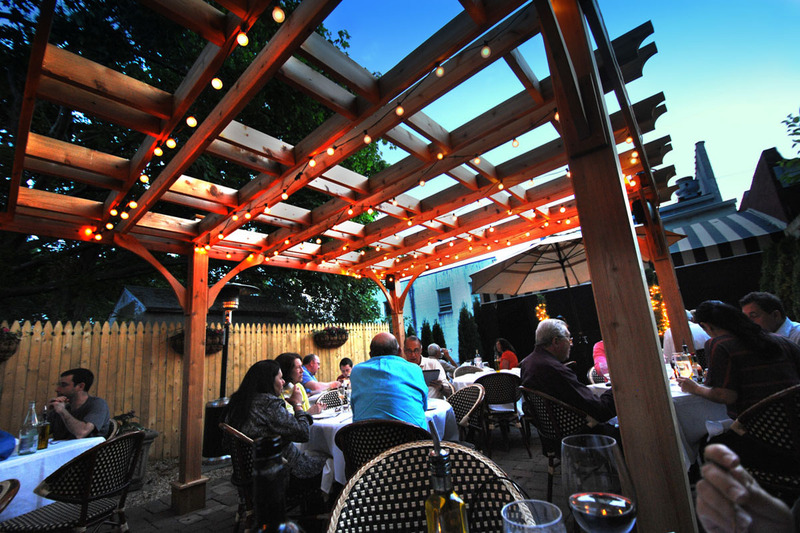 Heirloom Tavern is the newest from the chef who polished The Brass Rail in Locust Valley. It's situated in the compact former home of fork & vine and, before that, On3, at the Glen Head railroad station. 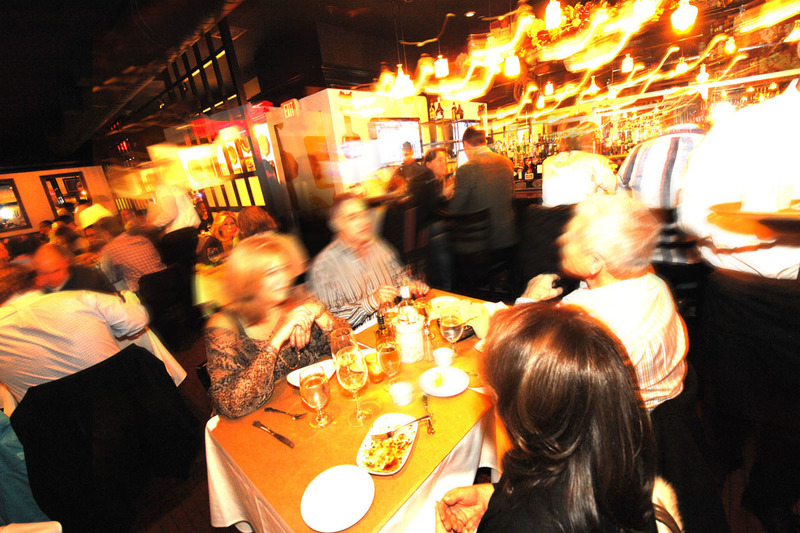 When the bar fills, reaching your table may require elbow-to-elbow navigation. Mirrors make the joint seem a bit larger, but you'd have to add smoke to complete the effect. Still, the refurbished restaurant is brighter and warmer than any of its predecessors. 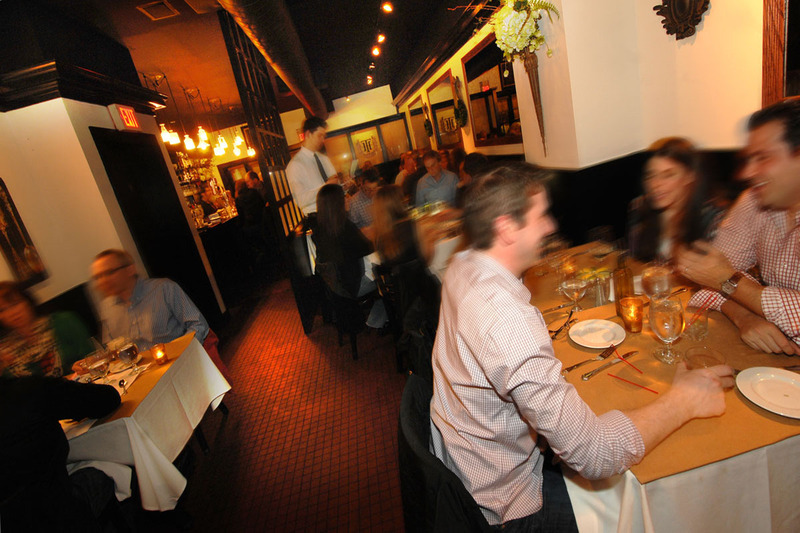 The spotlight is on Monkan's clever creations and adaptations, which build on the full-flavored, unpretentious fare he sent out at his original Heirloom, which resided on Forest Avenue before The Brass Rail; and the departed Panama Hatties of Huntington Station, where he was chef de cuisine. 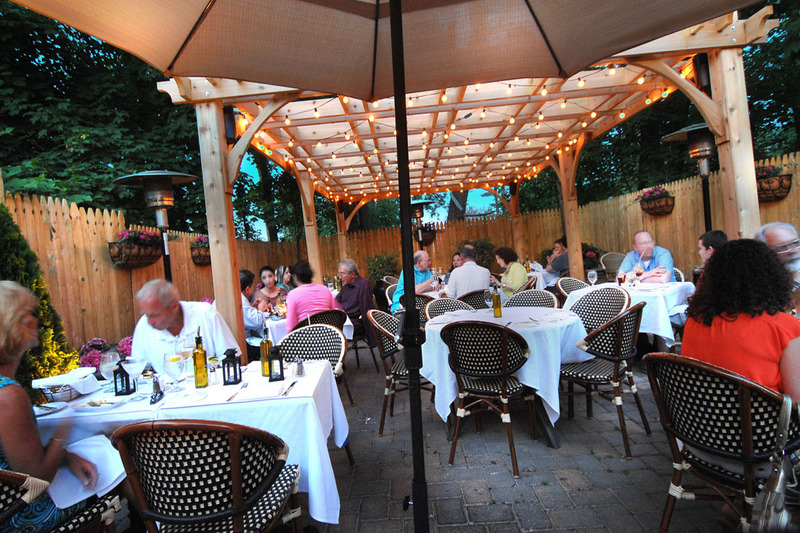 Basically, you can eat very well following the Huntington native around Long Island. That starts with his gilding of a Roman classic, pasta alla carbonara. He enriches fettuccine with tender lobster meat, arugula and peas, as well as bacon and "Parmesan cream." It's delicious. Coming close is strozzapreti Bolognese, the "priest stranglers" similar to stretched-out cavatelli, in a savory meat sauce. Monkan also stars with a juicy Berkshire pork chop, finished in sherry vinegar sauce; and a Painted Hills strip steak au poivre, with both tenderness and bite. 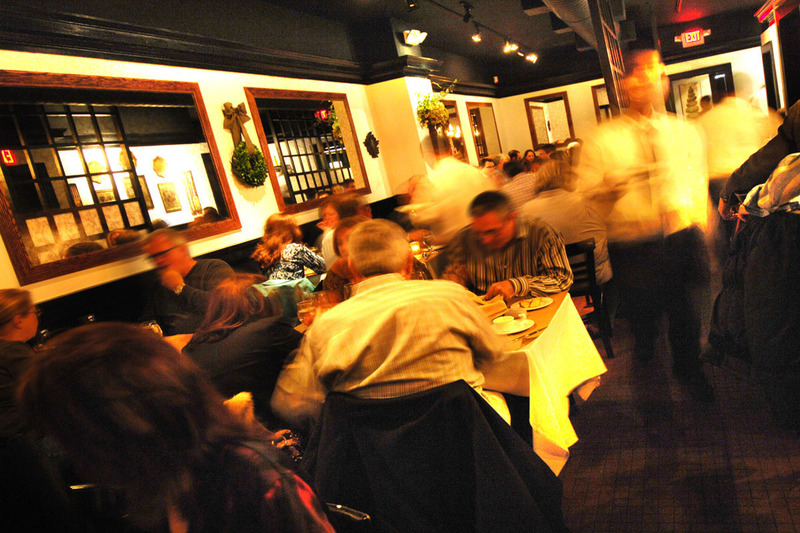 The pan-roasted duck breast, accented with Grand Marnier; and crab-crusted black bass, glistening from citrus beurre blanc, are nearly their equals. 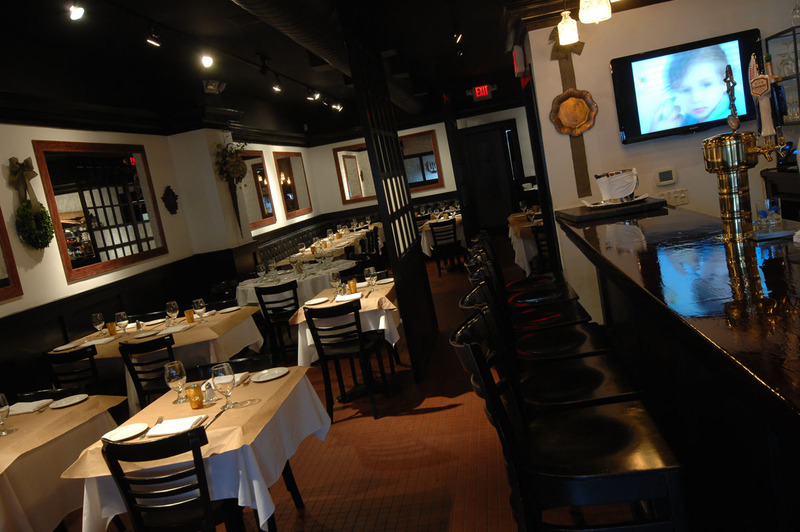 Before you get to these main courses, however, consider Monkan's small plates, salads and sandwiches. Tempura-style bay scallops, nutty, sweet and crisp, arrive with spicy aioli and garlic sauce. Endive salad becomes a staple courtesy of bacon, crumbled Gorgonzola cheese and a Port wine vinaigrette. Roasted beets find their now-familiar partner, goat cheese, and spiced almonds, lavender honey and balsamic vinegar, for a satisfying alternative. 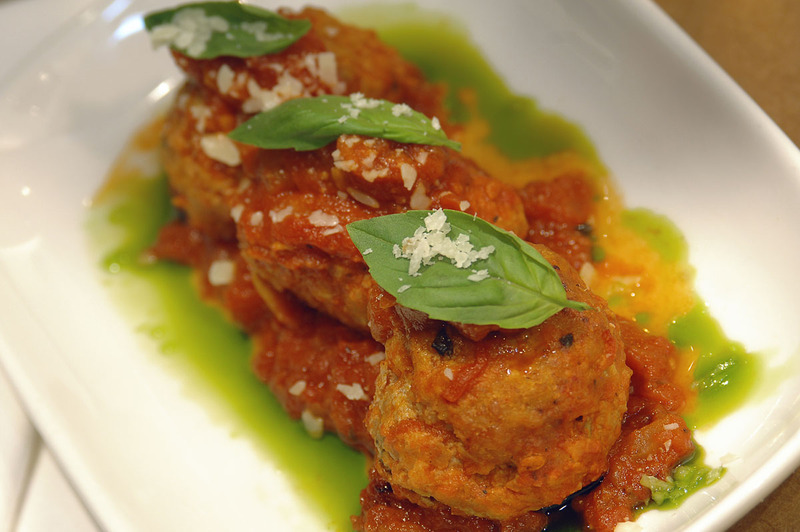 You can come here for a generous meatball hero, too. Lesser dishes: prettily yin-yang but underseasoned black-and-white bean soup; a chewy chicken-fried steak slider; bland smoked chicken quesadilla; and overdone skewers of Wagyu beef with barbecue sauce. After all this eating and imbibing, Monkan ups the ante with a terrific individual flourless chocolate cake with vanilla gelato and chocolate sauce. White chocolate cheesecake with a chocolate cookie crust is a lush runner-up. Trailing are less-than-airy beignets; and a curious bacon-bread pudding that's more like an over-orchestrated breakfast treat. But the cinnamon gelato and caramel sauce are excellent. Kent Monkan has done it again. 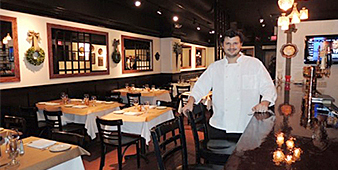 The chef-owner of the Brass Rail in Locust Valley — one of Long Island's best restaurants, which opened in 2008 — Mr. Monkan added a second winner in January with the Heirloom Tavern in Glen Head. From openers to desserts, just about everything we sampled was outstanding. The dining room is defined by white walls punctuated with large, framed mirrors. Cloth-covered tables topped with brown bistro paper, a long black leather banquette along two walls, and terra-cotta floors complete the look. The menus of the two restaurants list different dishes, but they are divided into the same categories: bar plates, soups, salads, chilled seafood, small plates, sandwiches, pastas and main courses. Both restaurants offer a lot of reasonably priced choices: big sandwiches with fries for $15, and substantial small plates for $12. 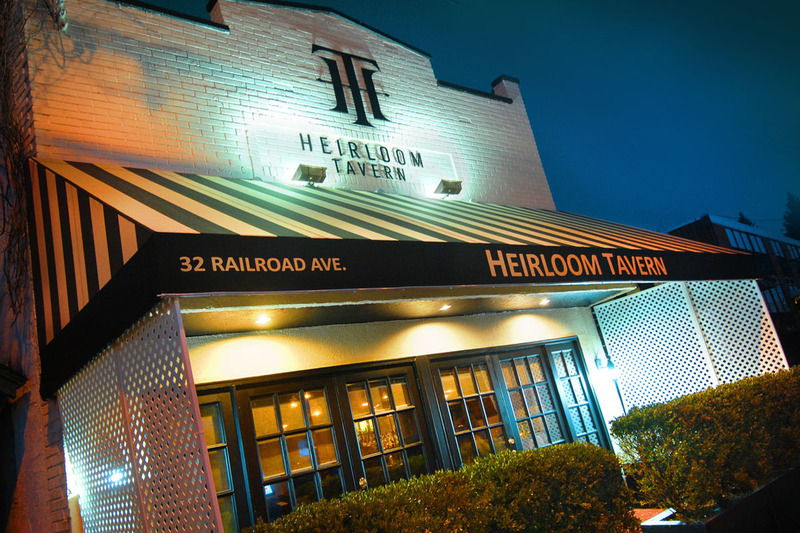 Heirloom Tavern differs from the Brass Rail at entree time. Instead of receiving a plate with accompaniments chosen by the kitchen, diners pick two side dishes from a list of 14 choices. Tops among them were sautéed exotic mushrooms, roasted fingerling potatoes, creamy mushroom risotto and nutty roasted brussels sprouts. The mashed potatoes were a bit stiff, and the spinach we ordered turned out to be very assertive braised greens — a mistake, we assumed, by the kitchen. The bar plates, small openers for $6, are popular starts to a meal. 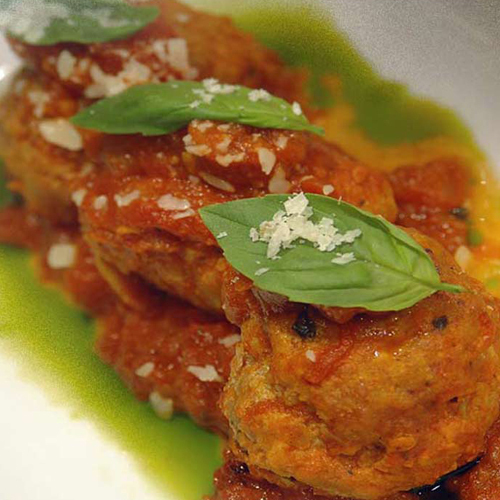 We loved the generous portion of loosely knit veal meatballs. We also liked the lobster taco, which contained so much lobster that we hardly noticed the carrots, fennel and tomato salsa in the filling. A spicy aioli on the plate enlivened the dish. On a cold, snowy night, the chicken noodle soup hit the spot. The flavorful broth was packed with vegetables, most notably minced green beans, which added crunch. Salads, all priced at $8, are bountiful. The Caesar was everything it should be, with baby romaine, herb toasts on top and a classic dressing. Another salad standout was the big stack of julienne endive laced with bacon and Gorgonzola and with a port wine poached pear on the side. Among the small plates, the star was the sweet and sour veal short ribs, falling from the bone; it was one of the best dishes we sampled. The goat cheese and bacon cheeseburger, garnished with lettuce and tomato and served with ketchup and truffle mayonnaise on the side, was juicy and medium-rare as ordered. The accompanying French fries — other choices were sweet potato and shoestring — were thin and crisp. In the category of good but not great was an order of linguine ringed with littleneck clams and crowned with three jumbo shrimp. 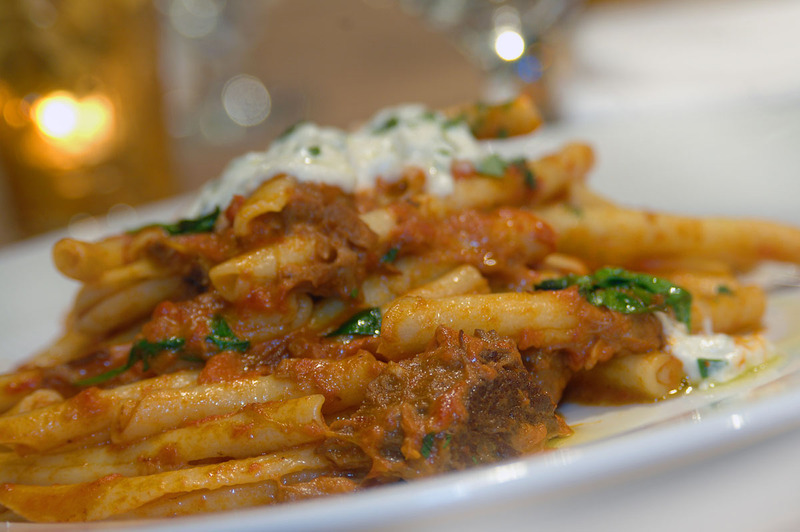 It had a plum tomato sauce bolstered by roasted garlic and baby spinach. 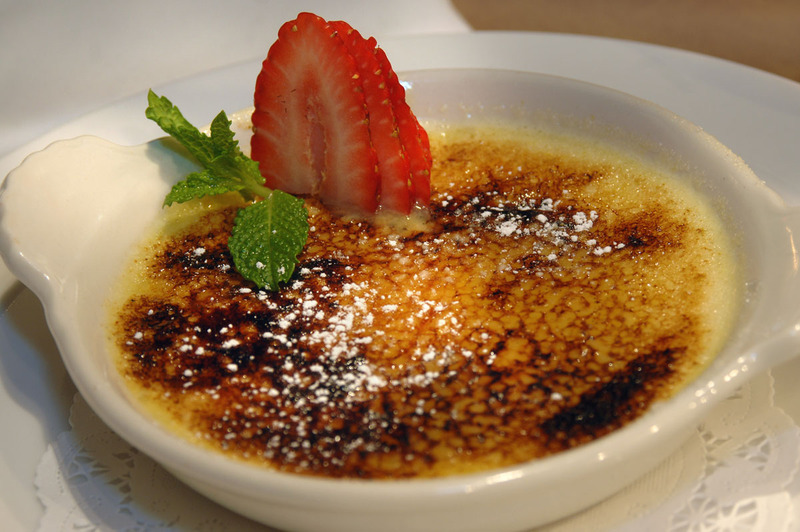 Desserts are all made in house, and none of those we tried disappointed. We ordered the bacon bread pudding with some trepidation, but it was a hit, served warm and topped with cinnamon gelato. The flourless chocolate cake, an individual cake served warm, came with vanilla gelato and chocolate sauce. Very creamy white chocolate cheesecake had a crunchy chocolate cookie crust and was topped with a big dollop of whipped cream. 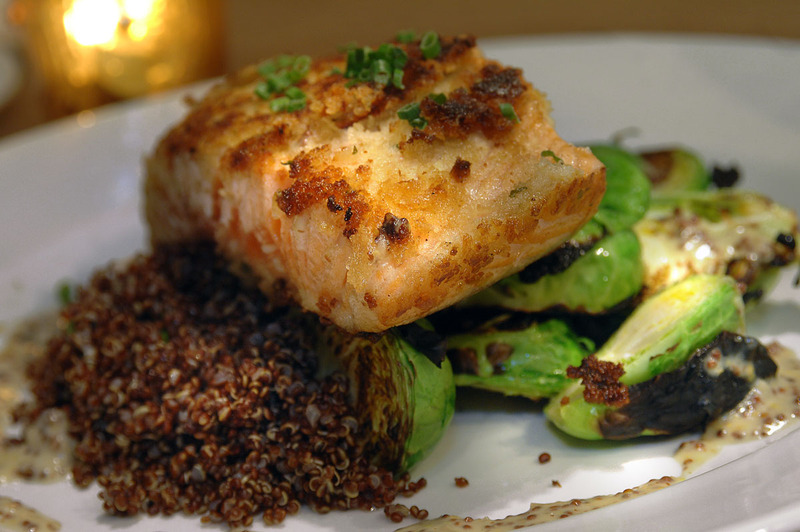 Heirloom Tavern is quickly becoming a must-visit dining destination. Tucked into a gastropub menu that takes in chicken-fried steak sliders, a goat-cheese bacon cheeseburger, oxtail steamed bun and a platter anchored by hummus, feta and flatbread, comes the richest pasta I've tasted this year. 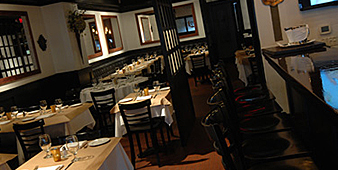 The restaurant is Heirloom Tavern, Kent Monkan's popular and populist venture situated at the Glen Head railroad station. And the pasta gilds a classic Roman dish. Get ready for fettuccine lobster carbonara. Spaghetti alla carbonara, definitely in my top five pastas, traditionally is made with bacon, eggs, pecorino cheese, and black pepper. Sometimes, the bacon is smoked. Purists debate whether to use pancetta or guanciale. Parmesan cheese provides a more refined rendition. Debates abound. It lights up the place, and is reason enough to visit Heirloom Tavern. A plate is $24 well-spent. Barely a week old and Heirloom Tavern is already cooking. 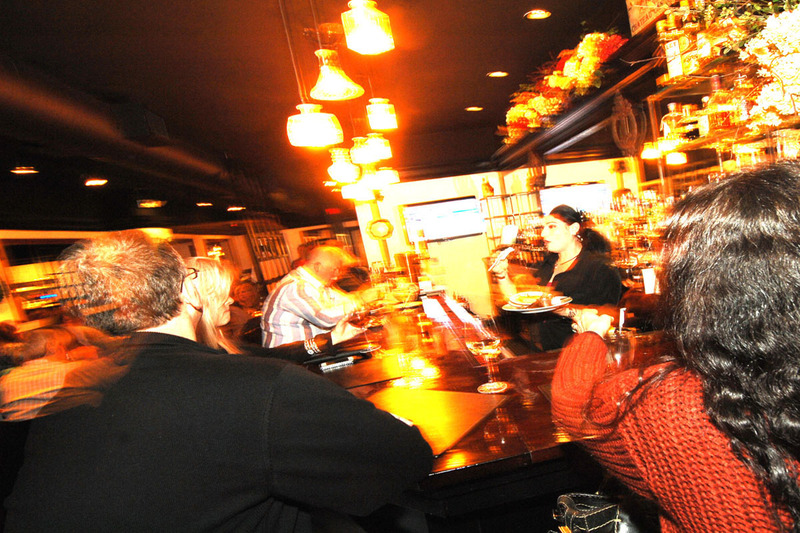 The spinoff of the Brass Rail (chef-owner Kent Monkan's Locust Valley gastropub) was full on Friday night, with folks waiting at the bar by the time we left around 9 p.m. 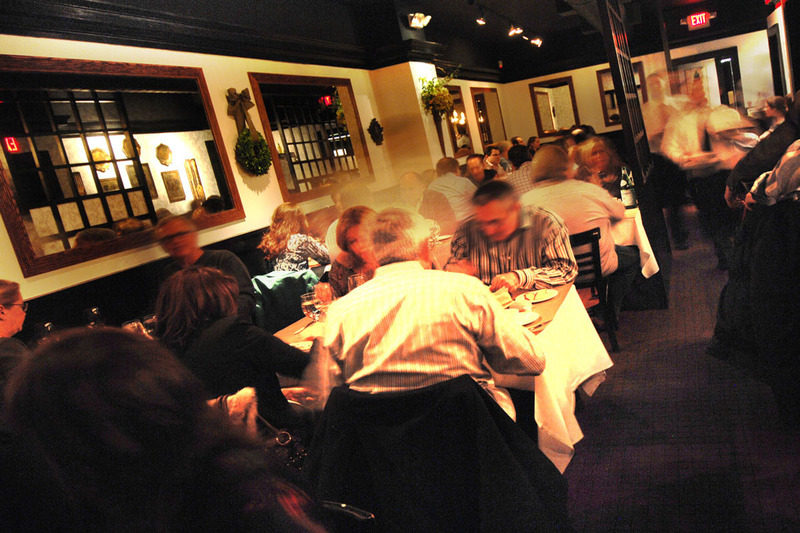 The dining room is cozy and convivial. (Throw in a ceramic-tile floor and you’ve also got loud.) And the kitchen is doing a fine job. We started off with two excellent soups: chicken-noodle was a stunner, with tender shreds of chicken breast and freshly poached carrots and green beans. The noodles were M.I.A. but no one missed them. A duo of black-and white-bean purees looked iffy (less yin-yang; more kitchen accident) but tasted heavenly, with a hint of truffle oil in the white part. A salad of arugula with Manchego and serrano ham was also tasty, though I wish the ham and cheese had been better integrated with the greens. I don't know why my friend ordered a cheese steak since it’s been my experience that the best cheese steak in the world is no more than mediocre. (Sorry, Philly. You’ll have to make do with being the cradle of our democracy and the setting for thirtysomething.) So, I mean no disrespect to Heirloom Tavern when I report that the cheese steak was mediocre. My Berkshire pork chop was juicy, if not terribly flavorful; its accompanying mushroom risotto was good; the haricot verts undercooked. The din of dinner raised its ugly head when it came time for dessert. I ordered the intriguing-sounding bacon bread pudding. The waiter evidently heard "banana nut bread," a sad turn of events since I only like bananas on their own or in a bowl of Rice Krispies. My friend (the cheese steak) ordered the Nutella-stuffed doughnuts, which were OK but I’ve officially had it with Nutella. Chefs: it's a processed spread that comes in a jar. You want to impress me? Make a ganache. Kent Monkan, whose restaurant The Brass Rail is a popular destination in Locust Valley, has just opened a gastropub in Glen Head. Heirloom Tavern, which opened Saturday, moved into the site at the railroad station vacated last year by Fork & Vine. 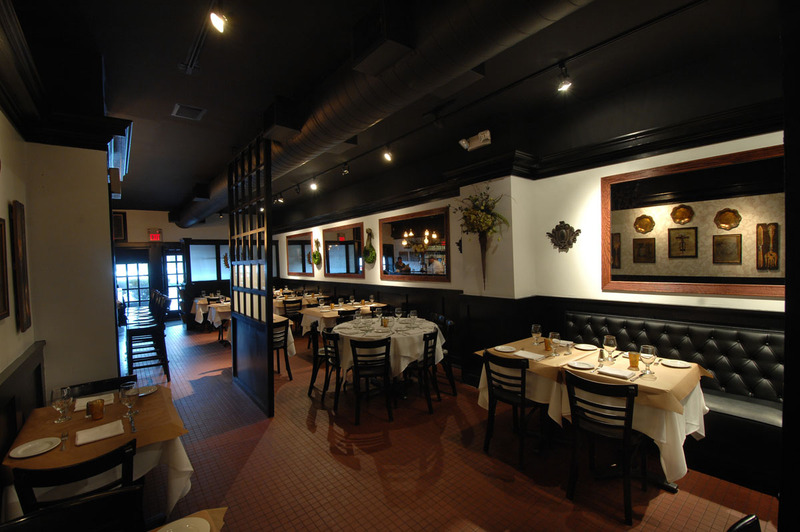 Before he opened The Brass Rail, Monkan operated the New American spot, Heirloom, at the Locust Valley address. 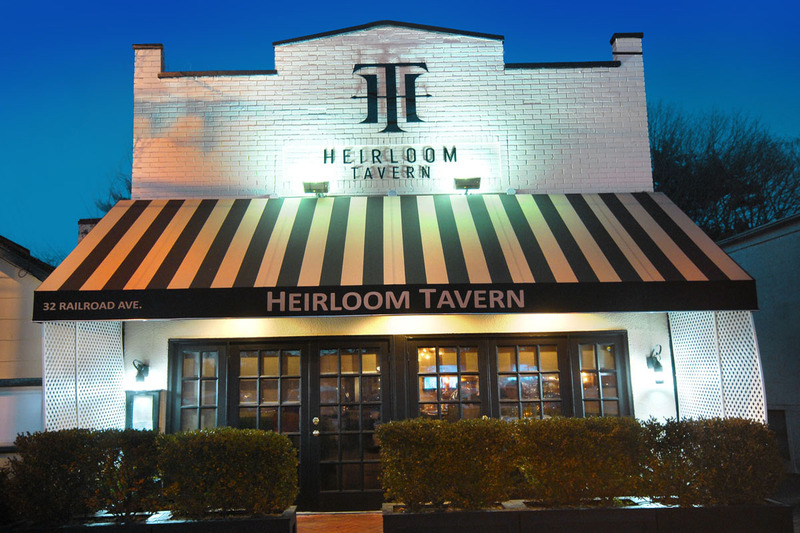 He termed Heirloom Tavern "an American gastropub." It has some similarities in style to The Brass Rail, but "different foods and ambience," he said. The eclectic menu includes bar plates ranging from a chicken-fried steak meatball slider to oxtail steamed bun; sandwiches from burgers and a meatball hero to grilled asparagus-and-Brie and a cheese steak. Kent Monkan was born and raised in Huntington, NY. His inspiration for cooking came at an early age, through watching his Sicilian grandfather, Tony, cook for the family gatherings. His grandfather's traditional Italian cooking interested Kent, and led him to watch cooking shows after school and read his mother’s cookbooks. Developing a love for food, he began experimenting with cooking in middle school. 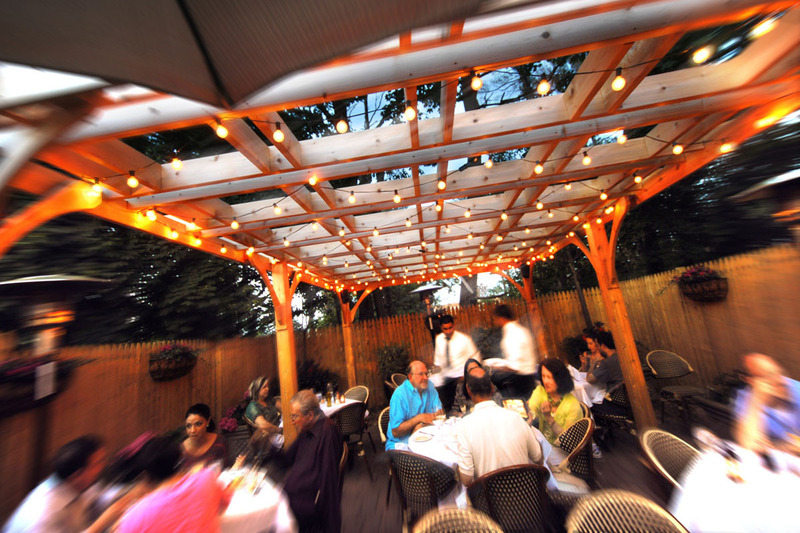 A graduate of the Culinary Institute of America in 1996, Kent eventually landed a coveted spot at one of Long Island’s top restaurants, Panama Hatties. Throughout his nine years there, he worked his way up to Chef de Cuisine. 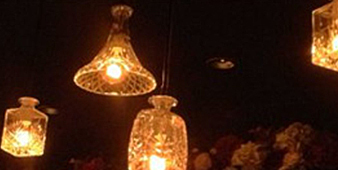 Realizing his long-standing dream was to have his own restaurant, "Heirloom" was opened in 2005 in Locust Valley, NY. After a couple of turbulent years, he sold it and went to work as a private chef. 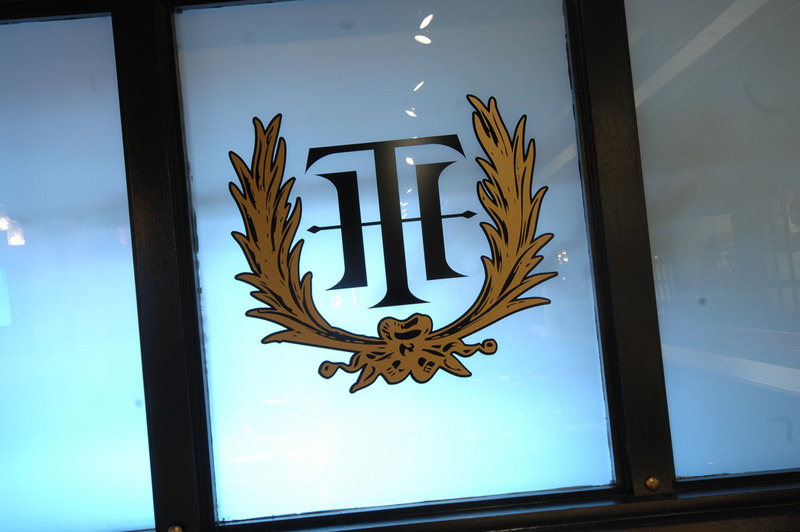 But, as fate would have it, Heirloom ended up back in the hands of Kent and was renamed The Brass Rail in 2008. With a restyled menu that ranged from comfort foods to more exotic and at a better price point, The Brass Rail quickly became a neighborhood hit. 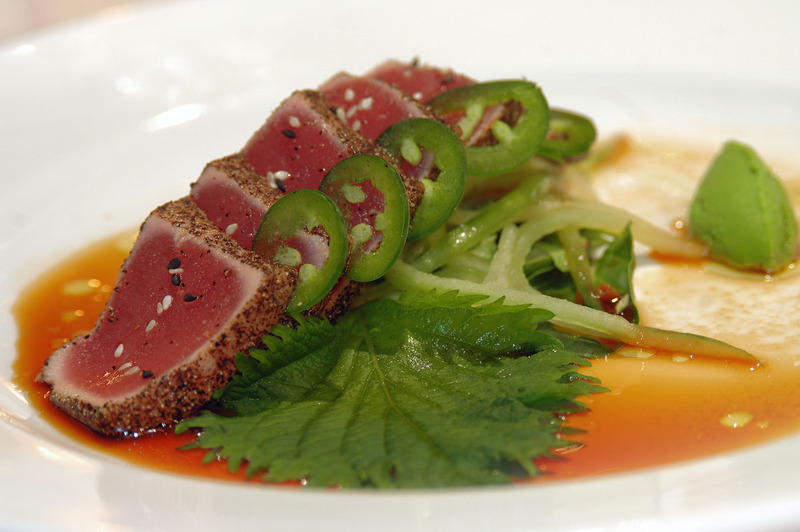 Seizing an opportunity to expand to a new neighborhood, Kent opened his second restaurant in Glen Head, NY in 2013. Lovingly called Heirloom Tavern, it has the same successful element of great food at a great price, with a completely different menu.